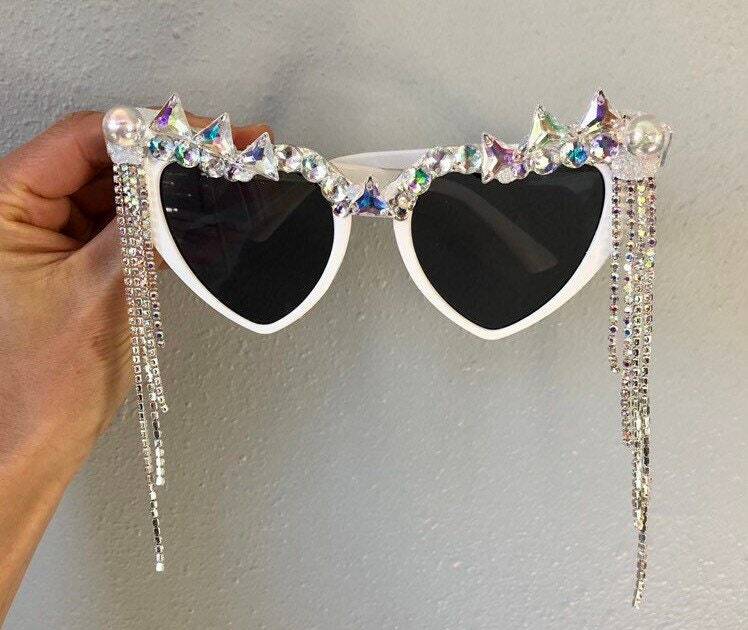 Girl, these glasses will instantly make you feel wild, fancy and free! In the most respected way of course. 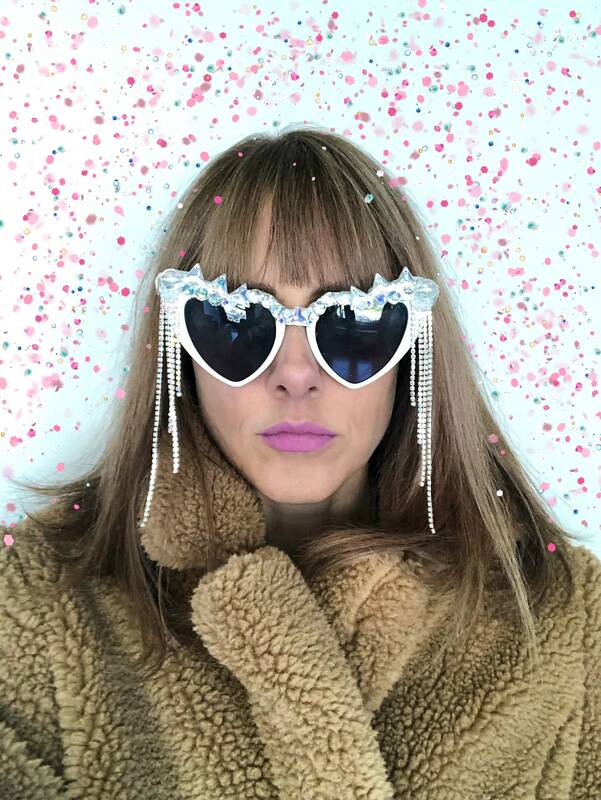 Glasses are white clout goggle hearts adorned with jewels and TLC. Every pair is one of a kind, JUST.LIKE.YOU.